Check out this children's room! It's interesting at least for two of its features. The first thing, that grabbed my attention is the concealed bi-level bed. It's a great idea, isn't it? And second is the alcove bed. This kind of bed always gives some cosy and pretty feeling. And it's also very important and interesting for a child to have it's own corner, an imaginary little personal house for the kid. The light and soft color palette is pleasant and calming. The furniture - which looks very smart and well-designed - completes the look. In such room kids will sleep sweet and will see only good dreams. 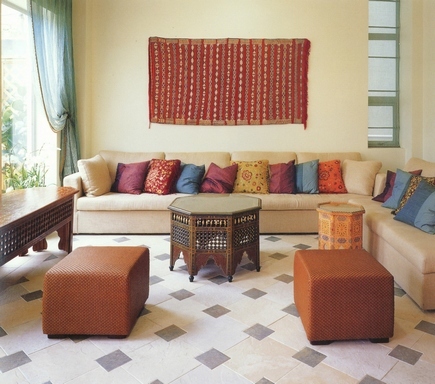 Eastern (oriental) style interior design receives attention of more and more people all over the world. Indian is one of the most prominent of all the Eastern styles. It is interesting for its wealth look, elegance, romance and sensuality. Most fabrics are of course silk. 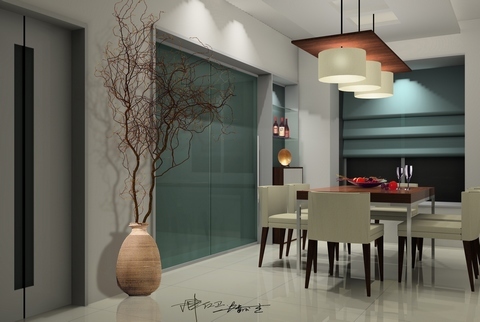 Here is an example of a well thought-out modern interior. It looks very stylish and attractive. And I think that I don't even need to comment this picture, as it just speaks for itself.